Many, probably most, wolfhound breeders are ethical and passionate about the breed. They breed to maintain, and hopefully improve, their lines and the breed. Litters by responsible breeders tend to be few and far between and selling puppies is a secondary consideration. Obtaining a puppy from such a breeder may involve putting your name on a waiting list and patience. It may also involve being subjected to something of an interrogation by the breeder on your ability to support a wolfhound! If so, do not take it amiss, it’s a good sign, an intense interrogation is a measure of the breeders concern for the dog. A list of questions that you may be asked is provided in this section. Do look through the Gallery photographs and Results statistics on this site to judge for yourself what you like the look of. 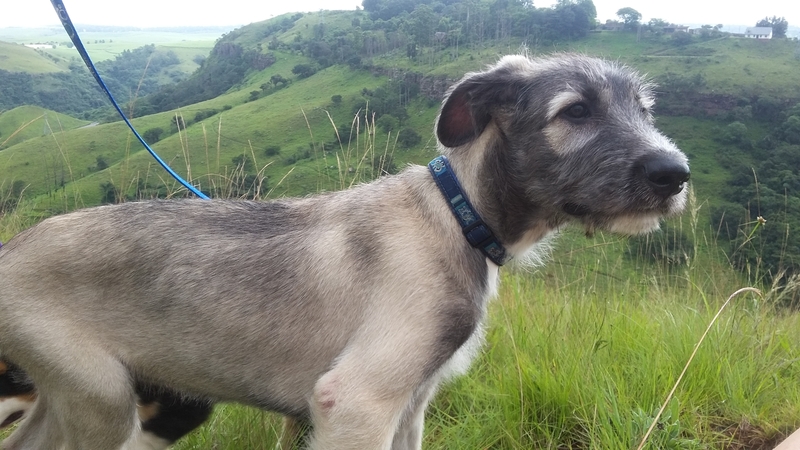 Do visit Championship Shows listed on this site and on KUSA (http://www.kusa.co.za/index.php/events/kusa-events-shows/58-show-calendar ) and talk to the wolfhound enthusiasts present. If you have the opportunity to travel, do your homework beforehand and consider fitting one of the major European or American shows into your schedule. Importing a wolfhound puppy is not for the faint-hearted nor a guarantee of success but there is a greater diversity of breeders available. Consider a rescue although that too may involve a wait. Rescue dogs can come with “issues” but in the vast majority of cases the outcomes have been good for both hound and human. See the Rescue Stories on this site. If, in your search for a hound, you come across situations of wolfhounds in distress please advise the IWC (Rescue Contact) and we can discuss the situation with you. We cannot always intervene but sometimes we can.